Thanks to ultrasound and a robotic arm medical personnel will be able to get needle placement on the first try. 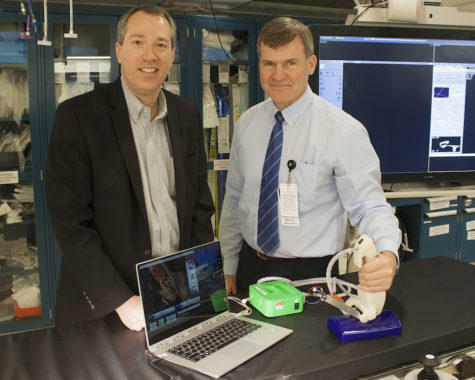 (from left) CEO Andrew Cothrel and Daniel von Allmen, MD, surgeon-in-chief at Cincinnati Children's are in the process of launching the pictured medical device that will accurately place a needle in an artery or vein on the first try. Co-inventor Daniel von Allen, MD, surgeon-in-chief at Children's, knows finding the right vein on the first try is especially important in children. "The fact that up to a third of central placement attempts in kids fail on the first try is unacceptable to us." He drew the concept on a napkin while in Israel and engineers from Ben Gurion took it from there. The company will initially focus on "central line placements" in kids and adults. However it plans to expand into other areas like biopsies. 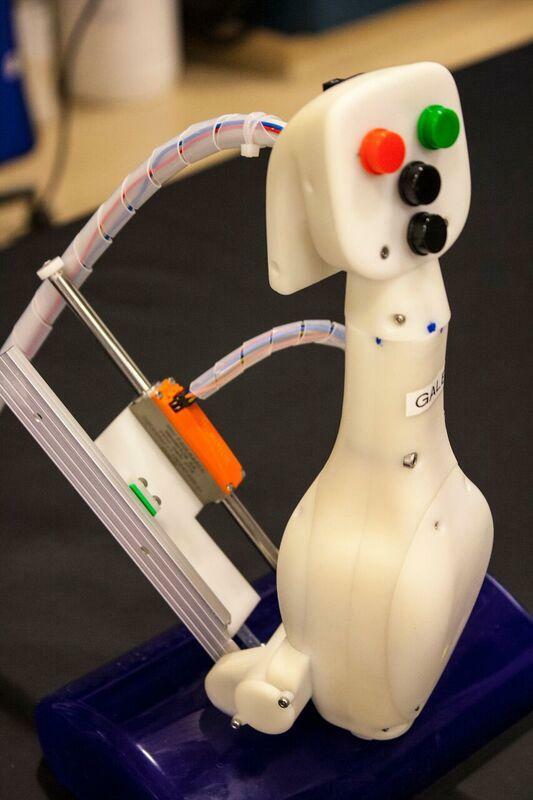 Cincinnati Children's and CincyTech are initial investors in Xact Medical. The FIND system is awaiting FDA approval.